Left this squashes outside this morning. They are getting a big leggy, but hopefully in less than a fortnights time it will be time to sink them onto the plot. 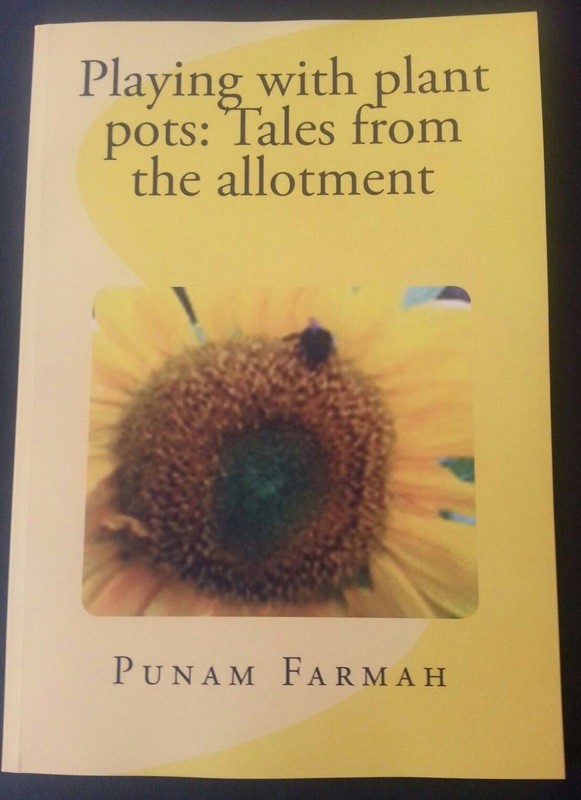 It’s a bit of a mystery as to what pot is which variety. 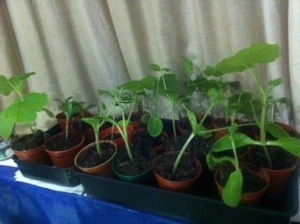 Didn’t label them now, did I.
I have been trying to wait, and now sow squashes. Mainly as the grow quickly, but also because we still get a frost until the end of May. So any seedlings would be fairly big by then, and would also have to be hardened off. In the past, some of the varieties that I have grown have been brilliant, others less so. I have also had the misfortune of some being eaten by slimers. This is why, I have sown a varied and large variety. There are loads, and normally, one, maybe two plants would be sufficient for a family. 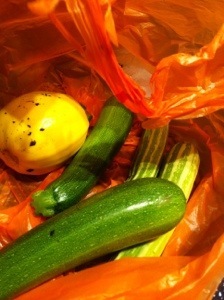 I have been known to give away courgettes to friends, family, colleagues, anyone who I knew didn’t mind fresh veg. There is the risk, that I will be over run. I am sure that they will be used, given to a good home, or meet their ends in a chutney of some kind. Ghost rider pumpkins make an appearance, I have sown these previously, and also saved their seeds. Patty pan and yellow scallop were a really good variety that was sown a couple of years ago. Yes, there are lots and lots. 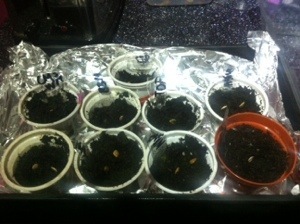 I have sown one or two of each variety. Seeds have been put into the pellets-I know not all folks uses these, but I don’t like getting told of by the parents for having soil all over the house-on their edges. Apparently this stops them rotting, not so sure, so testing this. Covered with a propogator lid and left in a warm place. 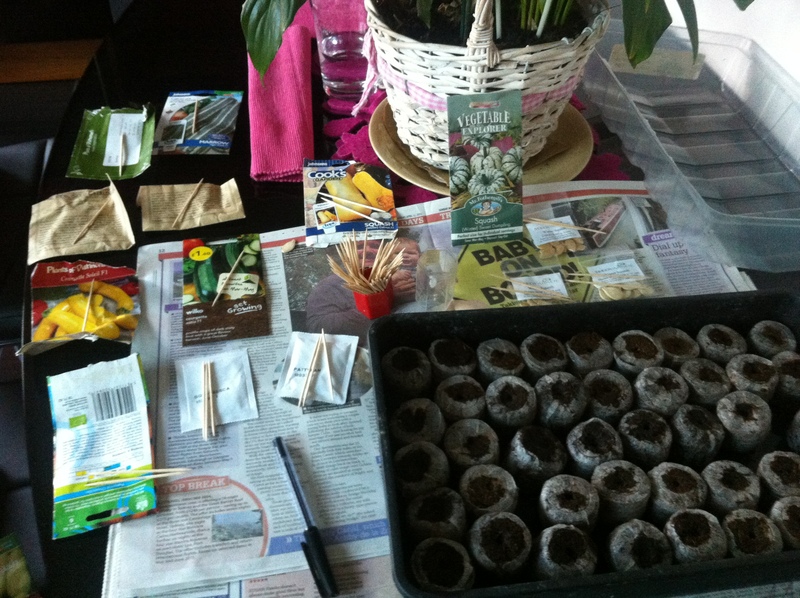 I have also sown some tongue of fire climbing beans. Think these are borlotti beans. As well as some experimental painted lady running beans. Ma has been champing at the bit to sow running beans directly, but I have been trying to dissuade not to sow directly as these get eaten by the clay so early. All that remains to be seen now is whether any of these triffids germinate. Is it a plane, is it a bird, no it’s a funny shaped courgette! To most people, a courgette is a courgette. A nondescript vegetable, shiny, straight and available from your local supermarket. Alas, they have clearly never grown their own veg. I must admit, that I too started off with a straight, relatively typical courgette. The courgette Astia, simple, straight forward and green. Then, I moved onto yellow ones, rounds ones, stripy ones, as you are aware of. Only recently, was I aware of another creature. Yellow Scallop and patty pan. You can argue that these are the one and the same. They may well be, I’m covering my bases here, with synonyms and semantics. There have been daily explorations of the Esther Bucklee bed. Trying to find down these curiously shaped creatures. 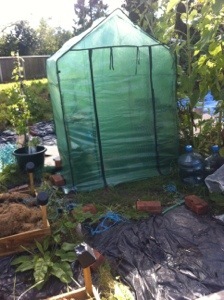 These are housed, between the Incredible Sweetcorn, all eight plants of them. I have three of these, I think, and a sweet dumpling, in the confines of a raised bed. This bed is one metre squared, and foray into two out of three sisters. The bed is heaving, you’d think I was growing triffids. This is exactly, what it looks like. A mass of green leaves, the size of dinner plates. Vines making an escaping, with eight long, willow corn plants, standing above a parapet. When the wind blows, the bed appears to be dancing and shaking it’s thing. As you can see, the courgette is tiny. I almost missed it, but espied the small alien saucer like shape; and had to inspect it further. Not quite sure what I will do with them. As it stands, there are two courgettes in the kitchen. Despite having chutneyed two yesterday. In other news, have harvested some curly kale and nero di toscano for dinner. Here we have the first batch of summer squashes. We have Striato Di Napoli-those would be the stripy ones, astia would be the uniform green ones, and summer ball which is the yellow one that looks a lot like a tennis ball. Is in fact the same size as one, so was harvested. Striato Di Napoli is the product of seeds from Real Seeds, and I am honestly quite impressed by them. In a week, we have what four or five of them. Yes, I know that the the Astia look a bit tiny. I think with the last week or so, it has decided that it wants to produce babies. Only it was caught a bit off guard by the weather, and has only produce what would be termed baby courgettes. They’ve all been taken off, so that the one or two that remain on the plant might get bigger. I have know Astia to produce courgettes that are like truncheons. Having never had yellow courgettes, we have one of two. This is summer ball, one ball is producing little babies as we speak. Beautiful round tennis ball thing, that was almost jumping off the plant. Mama H been huffing and puffing, that she’s not going to curry it. Of course she will, will not be left by its lonesome. Now, I spoke previously about truncheons. Well, not one of these things, summer ball aside, is straight. Their beauty lies in their wonky-ness. Today, was Mama H’s day of birth, so that mean bhajis. 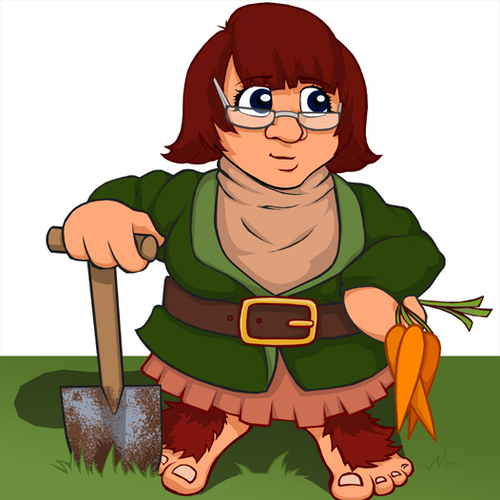 She’s just had some, made from the caulis, spinach and spuds from the plot. Were most definitely enjoyed. 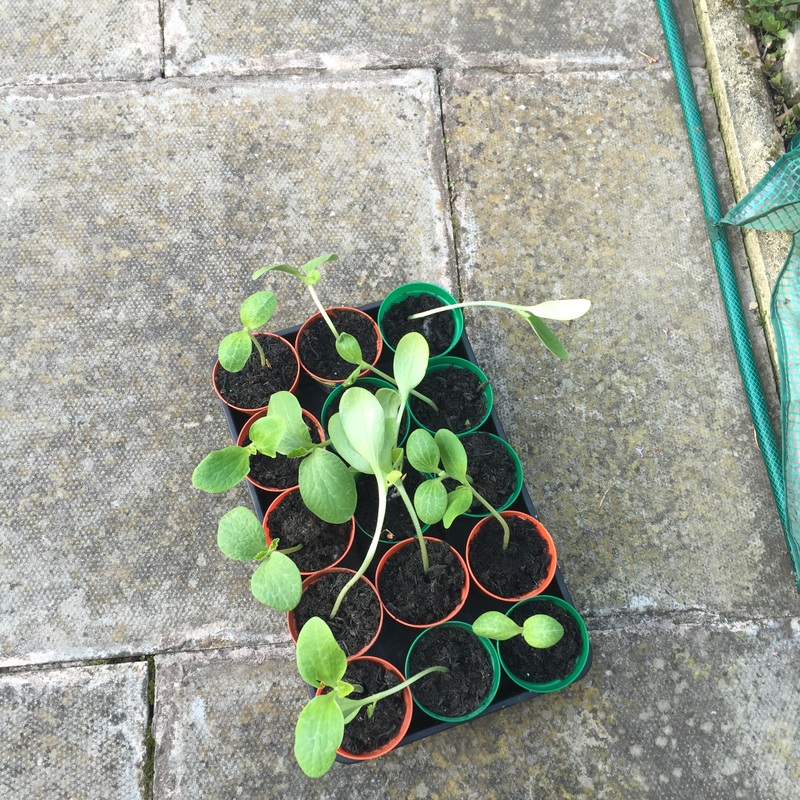 We have waiting on the plot, a bush baby marrow. It’s currently look at us, but mother is trying to work out when to cook it.